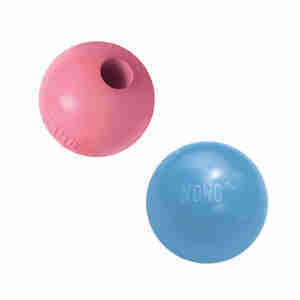 The KONG puppy ball is a great introduction to games of fetch for your new puppy. The toy is made with KONG’s exclusive ‘puppy rubber’, designed to ease gums whilst their teeth grow and they develop chewing habits. Freeze the ball for even greater challenge for your pup. Please note: colour cannot be guaranteed.